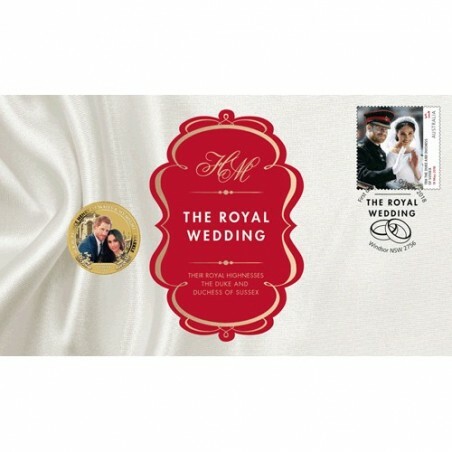 The Perth Mint and Australia Post have released this commemorative stamp and coin cover celebrating the wedding of His Royal Highness Prince Harry and Ms Meghan Markle. On 27 November 2017, the Office of the Prince of Wales at Clarence House made the official announcement of the engagement: "His Royal Highness The Prince of Wales is delighted to announce the engagement of Prince Harry to Ms. Meghan Markle." On 15 December 2017 the announcement was made that the marriage of Prince Harry and Ms Markle would take place on 19 May 2018 at St George's Chapel, Windsor Castle. 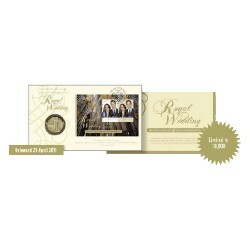 Issued as Australian legal tender, the uncirculated aluminium bronze coin is housed in a beautifully designed card with circular window revealing the coin's reverse and obverse designs. 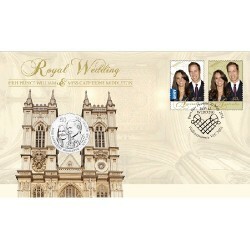 The reverse of the coin features an official image of the couple released following their engagement with a representation of Windsor Castle int he background. The inscriptions 'H.R.H. 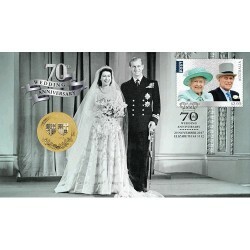 PRINCE HENRY OF WALES & MS MEGHAN MARKLE' and 19 MAY 2018', as well as The Perth Mint's 'P' Mintmark. The Ian Rank-Broadley effigy of Her Majesty Queen Elizabeth II, the 2018 year-date and monetary denomination feature on the con's obverse. 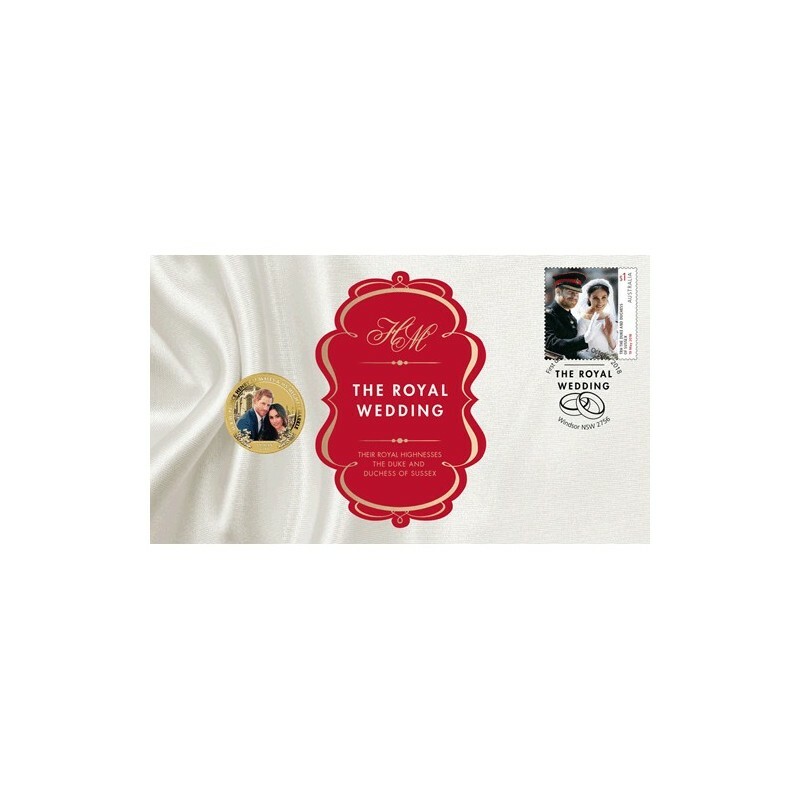 Affixed to the envelope is an official Australia Post $1.00 commemorative stamp. Postmarked First Day of Issue 2nd October 2018, Windsor NSW 2756 and includes Australia's Post's Seal of Authenticity.